Google Radar - One Page With All the Stuff You Are Always Looking For. Everyone has hobbies and interests that we are always looking for. Whether we are online or walking through a flea market, there are simply things that we can say are are always on our "Radar". Whenever we're online, we love reading about some subjects more than others, so when we have some free time, we find ourselves turning to Google to find the latest news about the our favorite subjects. That's where Google Radar comes in. 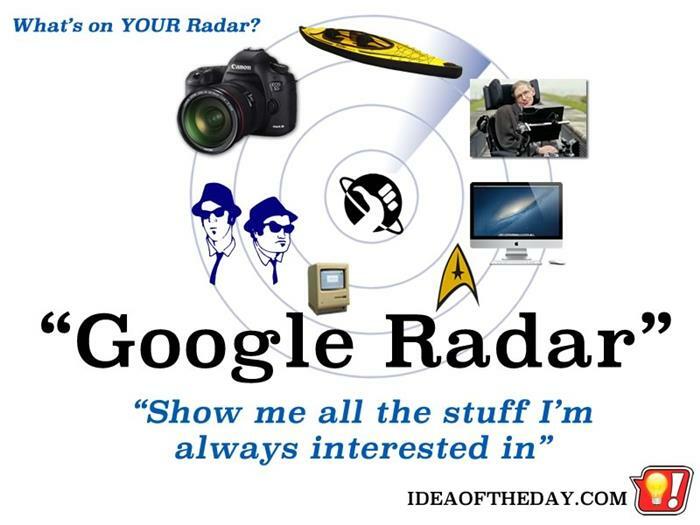 Think of Google Radar as a constantly updated page with a mixture of all our favorite subjects, just the things on our Radar. So, you wouldn't even need to search; whenever you visit your Google Radar page, you'll find all the latest and greatest pages just waiting for you.